Tiny home communities for the homeless have inspired many organizations around the nation to get involved. Volunteer Haiyan Khan is no different. According to the Times Picayune, Khan has built several prototypes of tiny houses on wheels and is currently building one "designed to fit into a standard parking space and be moved by a single person," behind New Orleans' Harry Tompson Center. This center supports 200 people daily, which leaves little room for many of the homeless to break out of a cycle of the lack of privacy and professional development opportunities. Because the center is only open during the day, the homeless are forced to move back and forth between the daytime and evening shelters. The city of New Orleans and Unity of New Orleans has committed to solving the homelessness by 2021 by rapidly moving the homeless into permanent shelter. But it's a big problem to solve. According to Tech Insider, Katrina, the terrible hurricane that almost destroyed the city completely in 2005, left over 100,000 people homeless behind. 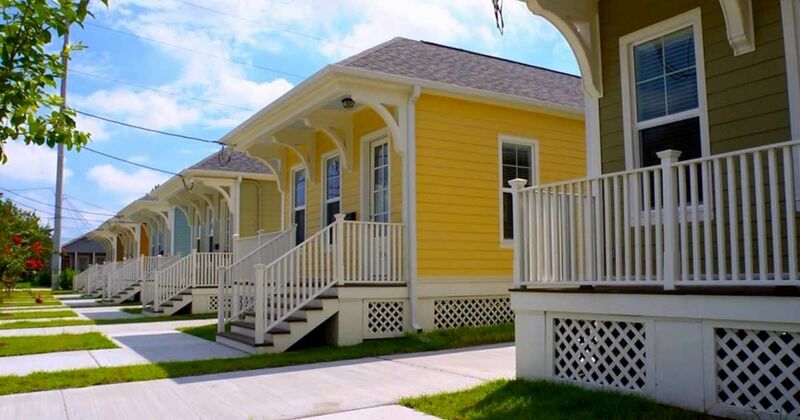 Although right now a tiny houses village wouldn't be possible in New Orleans due to the city's regulations, but they seem to be open to discussing Kahn's proposal. Bob Rivers, director of the City Planning Commission, told the Times Picayune, "From our perspective, we're open to creative ideas. This is not a traditional development type. There is really no prototype in the city ... We're certainly open to having that conversation with him and walking through what barriers exist now and what would be needed to overcome them." Khan's solution to New Orleans' homelessness is a community he calls Santosha, which means contentment and harmony. According to the Santosha website, the plans outline a 20 unit community that will cost as low as $30 to $60 per month, or $1 to $2 per night. Like other tiny home communities built with the homeless in mind, Khan plans to construct a communal bathroom, kitchen, common area and workshops. Residents will also have access to a monthly bus pass and internet connection to help them find employment and to reliably move around the city. The community would prohibit narcotics and other illegal substances on the site and require a peaceful and nonviolent culture. Each resident must contribute to the village in some way, whether it be maintenance work or other duties. Residents would not be required to move out by a specific date. "What's really unique about the space is not really the tiny house, but it's the concept of self-regulation," Khan told the Times Picayune. "That's the key concept. That can be scary for people -- the homeless running and managing this. But they're very resourceful, and they really know how to manage each other." For now, Khan gets help building a tiny yellow home (the fourth he's created) from the visitors at the shelter each day. He does not yet have a clear idea of where the community could go or how to manage a nonprofit (yet). "This is really an experiment," he explained on the Times Picayune. "A lot of it is just an experiment. We take one step and see what leads next." 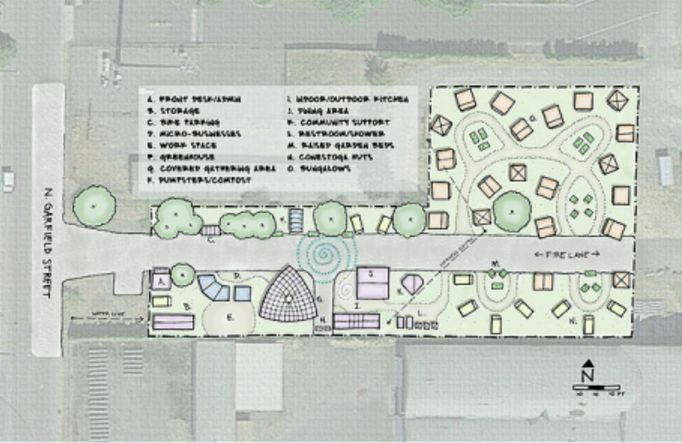 Khan was inspired by the model Opportunity Village in Eugene, Oregon has already implemented. It was built by the community together and functions exceptionally well. Hopefully, New Orleans will soon have their own tiny success story.